Tune of the Day - 16 February. 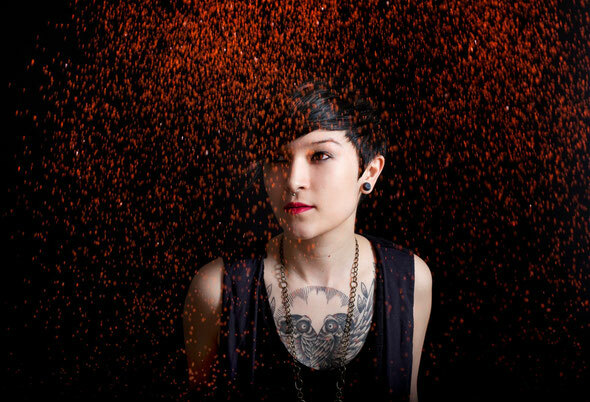 In the space of 12 months, Maya Jane Coles has blossomed from an underground favourite of house music aficionados into one of the most widely lauded DJs and producers in the world. Counting DJ Mag’s Producer of the Year and Time Out London’s Number One DJ for 2012 among her many accolades, the 24-year-old East Londoner’s stature is set to spiral yet further with her wholly diverse instalment of !K7’s illustrious ‘DJ-Kicks’ series, the first commercially available mix she has released. In a ‘DJ-Kicks’ mix that encompasses elements of garage and dubstep alongside deep house and techno, that thirst for diversity is blindingly evident. The journey begins with the muted synth chords and broken post-garage beats of Deft’s ‘Loqux & Past’ before blending seamlessly into Jimmy Edgar’s subtle remix of Kris Wadsworth’s ‘Mainline’. The stripped down track lures the listener into a brief state of hypnosis before being prematurely awoken by Lukas Poloczek’s vocals on one of the stand out tracks on the mix, the massive deep house number by Chasing Kurt; ‘Money’. Following on from ‘Money’, the repetitive wispy vocals contained within Bozzwell’s wonderfully bass-heavy ‘In My Cocoon’ couldn’t be further removed from those of the African Children’s Choir on Larse’s tribal influenced deep house track, ‘Karoo’. The repetitive yet melodic beat on the next track, the Domyan Just Slow Remix of Milscot’s ‘All Alone’, is flawlessly accompanied by Angela Sheik’s soothing vocals and provides another early highlight. As ‘DJ-Kicks’ tradition dictates, the curator contributes an exclusive track of their own, and although it may not prove to be quite as revered as What They Say or Hummingbird, the pounding yet melodic groove of ‘Not Listening’ is classic Maya. Which, incidentally, is a good thing. Following on from that original is one of my favourite electronic tracks of 2011. Dan Snaith’s intimate, resonant vocals and stabbing synths contributed to Caribou’s remix of Virgo Four’s ‘It’s A Crime’ being his most successful venture into house music thus far, and thankfully, its appeal has not diminished. In the second half of the mix, Maya drops another original track, ‘Meant To Be’, this time in her Nocturnal Sunshine guise. She said of the track, which was three years in the making: “When I spend too much time working on something it can lose that specialness. If it’s too much effort then it doesn’t feel right. But in this instance it just had something that I really liked. I’m really glad I came back to it.” The track marks the transition of the mix to a more two-step influenced passage of the journey and sets the tone for a progression of murkier, Dubstep influenced beats. The Zenker brothers, Dario and Marco, mix proceedings up a little with the unpredictable, though admittedly techno influenced ‘Berg 10’ before paving way for Last Magpie’s ‘No More Stories’ and rising Dubstep star Youandewan’s Burial-esque, dubbed out remix of Gerry Read’s ‘Roomland’. In the final three tracks, Maya yet again demonstrates her diversity. Drawn-out robotic vocals, acid breaks and synth melodies combine to give London based producer T. Williams’ ‘Analog Tour’ a retro feel, and that old-school sound continues into Marcel Dettmann’s spaced out ‘Translation Two’. In the final track of a diverse, and quite brilliant debut commercial mix, the future of house music pays homage to the past with Claro Intelecto’s B-Side from 2005, ‘Hunter’s Rocket to the Sky ’. 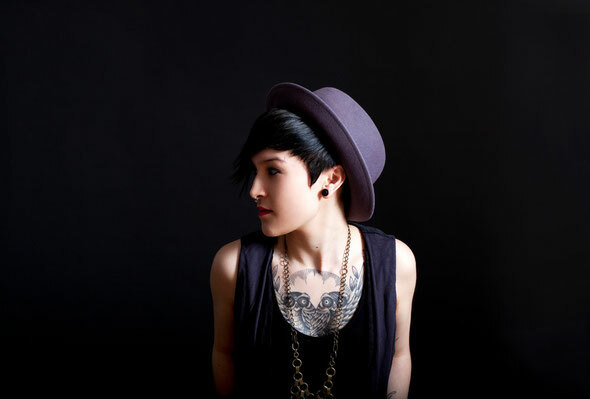 Quite fitting perhaps, as Maya Jane Coles is currently riding high on a similar upward trajectory. 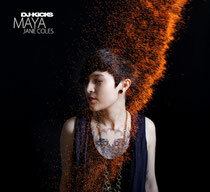 Maya Jane Coles ‘DJ Kicks’ is out April 17th on !K7 Records.